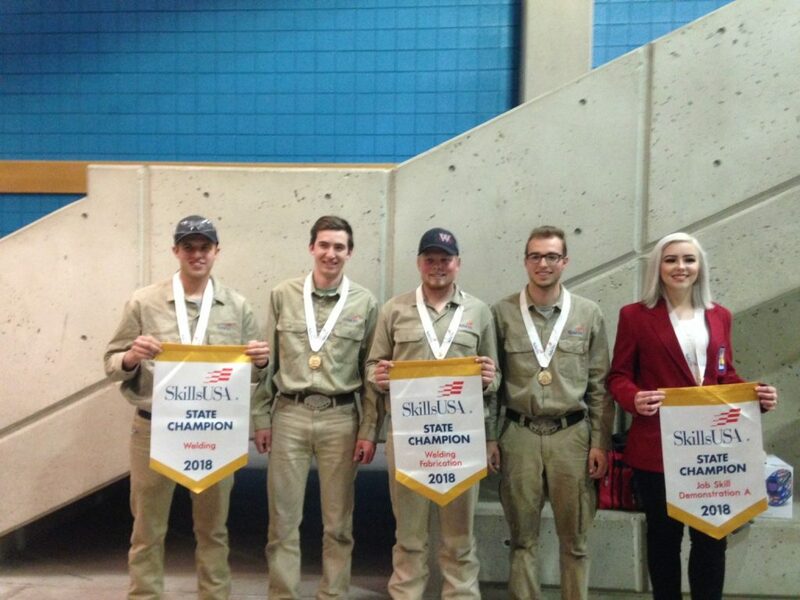 The tradition of training the best welders in the country continues at Utah State University Eastern as their students cleaned house at the SkillsUSA Competition in Salt Lake City last weekend. Jordan Wynn, Roosevelt, placed first in the welding competition while the team of Davis Thompson, Emery; Tosh Davis and Ben Warnick, Spanish Fork; won first place in the welding fabrication team competition. Other SkillsUSA winners included Chloe Wilson, Springville, who won first place in Job Skills Demonstration for blue print reading in welding and Marriah Peet, Price, who won second place in Job Skills Demonstration in phlebotomy. Wilson was also elected as a state officer in SkillsUSA. Parker Humes, from Price, won second in small engine repair for the automotive department while Kolton Rhodes, Price, won second in diesel equipment technology and Kayden Gibson, Price, won third in the same category.